People used to go all crazy about memory foam mattresses when they first launched. The idea of having a bed that takes the shape of your body and cradles all your curves was an immense delight. But today, hybrid mattresses are the next best thing. Since we never back down from a challenge, we’ve decided to compare two hybrid mattresses with 15-inch profiles that promise to combine an affordable price tag with the very best materials that provide support and pressure relief. 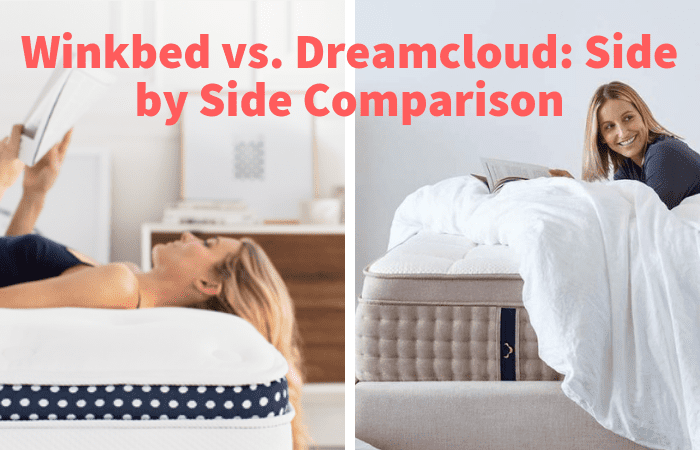 While both the WinkBeds and the DreamCloud mattress are constructed with different coil and foam combination, they each sport unique characteristics that will surely determine you to take sides. Free to the continental United States. The 15-inch WinkBeds mattress is available in three different firmness options but also has a model designed for heavier people. While the model presented in the paragraphs below is the Luxury Firm option, you can always choose between the other ones available (which we’re going to discuss later in the article). The soft TENCEL cover of the WinkBeds mattress is pleasant to the touch and a delight to all those homeowners looking to go eco-friendly. Made with plant-based materials, the cover is very breathable and provides a lot of cushioning because of the memory foam layers that are quilted in the cover. The Luxury Firm version of the WinkBeds mattress features a two-inch layer that combines gel and hypersoft memory foam. The soft memory foam is excellent at providing cushioning and proper pressure relief. The gel memory foam is meant to cool down your body’s temperature, avoiding overheating that’s generally caused by mattresses with memory foam inserts. Since this is a hybrid mattress, pocketed coils were bound to find their way into its construction. This 2.5-inch layer of pocketed coils seems like an excellent design move, as it’s meant to support the foam layer above it and give the mattress a natural bouncy feeling. In between the two layers of coils lies a pad that measures one inch in thickness. This pad is meant to add additional support to your lumbar area but also acts as a transition layer that stands between the top layer of pocketed coils and the core of the mattress. This generous layer measures no less than 7.5 inches in thickness and it’s made with coils that are individually wrapped. There are two main functions of this layer. First off, it allows airflow to circulate within the mattress because of how it’s constructed, but it also prevents motion transfer, as the coils bend only when pressure is applied directly above them. An important thing to mention is that the center third of the mattress includes a stronger set of coils, to provide additional support for the heavy body parts. At the base of the mattress lies a two-inch layer of support foam, which gives the mattress its shape and makes the entire structure more resistant. The firmness of the mattress depends on the model chosen. In general, a mattresses’ firmness is rated on a scale from one to ten, ten being a benchmark for the firmest type of mattress available. The soft version of this mattress is rated with a 4.5, is suitable for people who prefer a lot of cushioning and especially for those who like to sleep on their sides. Compared to the other versions, the soft WinkBeds mattress comes with a plush Euro-pillow top but also uses gel memory foam with extra pressure-relieving properties. The luxury firm mattress is rated with a 6.5 and it’s the most popular one sold by WinkBeds. People often incline towards purchasing medium-firm mattresses because they cater to a variety of sleeping positions. Next off, we have the firm version of the WinkBeds mattress, which has a rating of 7,5 and it’s designed for people who are looking to avoid that sinking-in feeling. The mattress is right at the border between medium and firm and features a 7-zone support coil system. If you like a really firm mattress, there’s always the Plus version, but we do have to mention that it was mostly designed for overweight people, who need every bit of support that a mattress can provide. 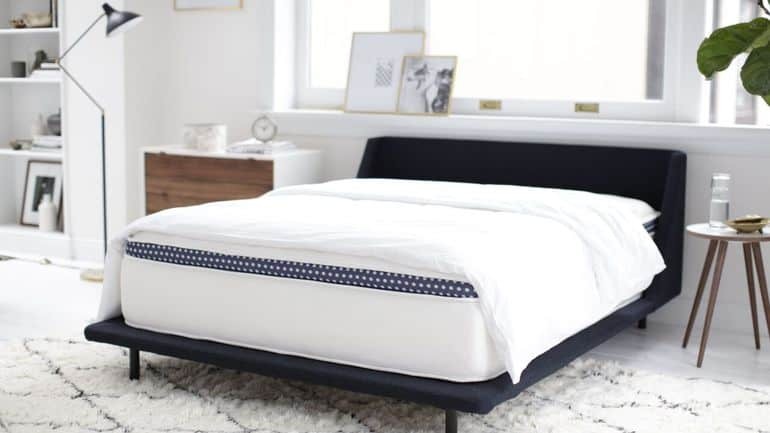 With a firmness level of 8, this mattress features 7-zone latex support which is combined with a 3-zone TexasQUAD support coil system, to make sure that the mattress can cater to your needs and last you for years to come. With firmness and feel, things are always a bit tricky. Firmness is used to describe how comfortable a mattress feels. 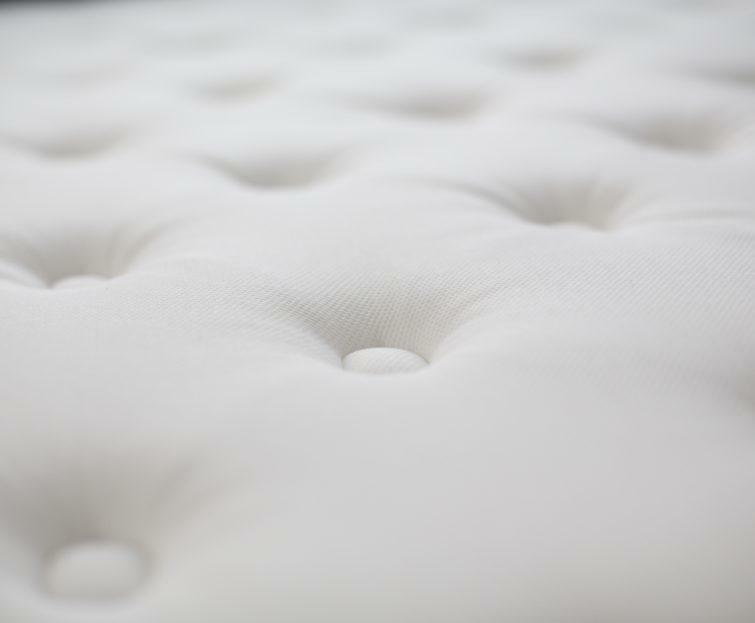 When you first apply pressure on the top of the mattress, you will feel the foam that’s quilted into the top of the mattress. This gives you a sense of how much pressure relief this mattress can provide. When applying further pressure, you can feel the response coming from the first layer of pocketed coils. The feel of the mattress will also depend on the model chosen. If you opt for the softer version, for example, you will notice that the coils are more flexible and there is one extra inch of foam, for a plusher feeling. There’s a good reason why the edge support of the WinkBeds mattress deserves some special praise. The superior edge support is provided by the mattress’ encasing, which is made from high-density polyfoam. The secondary role of this encasing is to provide long-term protection for all the five layers of the mattress. Because of this construction, there is little to no compression when sitting or lying at the edge of the mattress. The 15 inches of thickness of the DreamCloud mattress have been intelligently divided to create a comfortable and supportive bed. 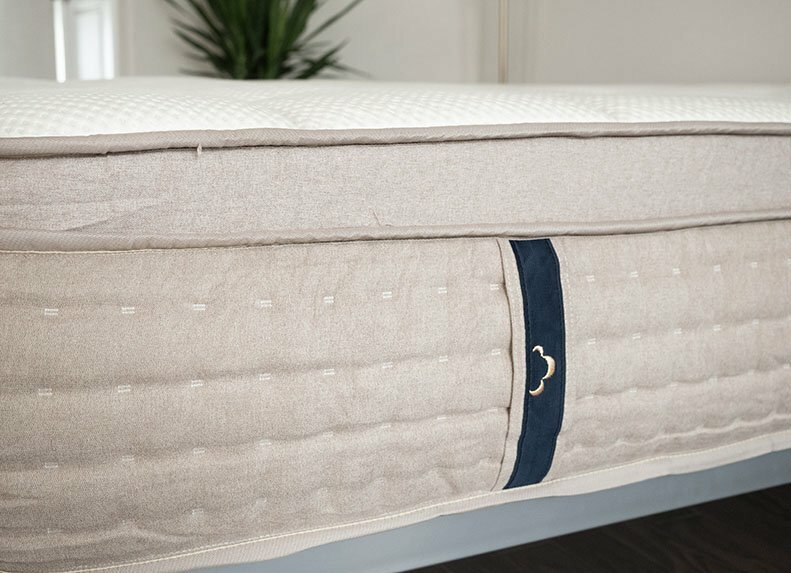 The top cover of the mattress features a combination of polyester and cashmere, to provide a sense of plush right from the very beginning. The cover is also quilted with memory foam, to enhance the sense of softness and comfort. The construction of the DreamCloud mattress has its own way of being unique. For the top side of the mattress, the manufacturer has chosen to stack three different layers of foam that are soft to the touch and provide body contouring by allowing you to sink into the surface. In the middle of these three layers, DreamCloud added some perforated latex foam, which ensures better heat dissipation but also creates a lot more comfort for the sleeper. The layer of pocketed coils is beautifully encased in the edge support that also acts as a transition layer between the foam and the actual coils. The coils are individually wrapped, which is a total must for providing minimum motion transfer. As usual, the spaces between the coils is sufficient for proper air circulation, as this avoid heat from being trapped inside the mattress. Every good mattress needs a support layer and DreamCloud has added a high-density polyfoam base. While the layer is thin, it supports the entire weight distribution of the mattress, while also providing additional protection for the layer of pocketed coils that lies above it. 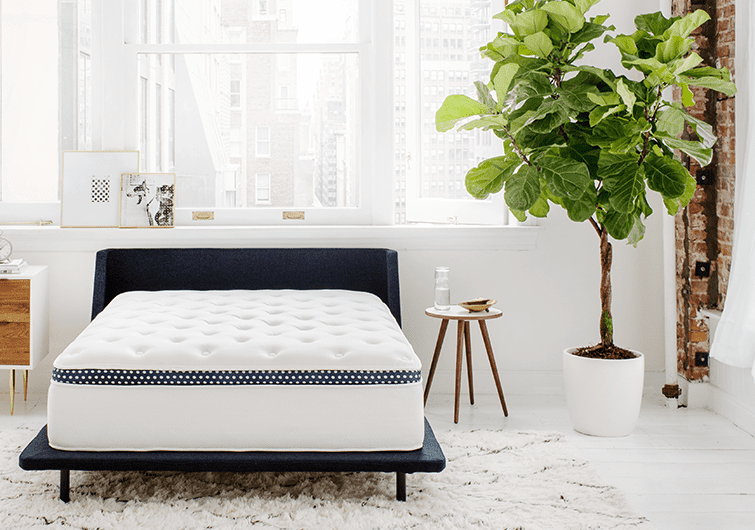 Depending on your weight and body configuration, the firmness you feel when lying on this mattress will vary from 7.5 to 8.5, which makes the DreamCloud a mattress that’s right at the edge between medium and firm. The rating is pretty surprising considering that the top quilted cover can have you fooled in thinking this mattress falls on the softer side. The top plush foam does provide a bit of sinkage, but the rest of the construction leads to a firmness level that’s above the industry standard for a medium mattress. As we’ve mentioned before, the mattress feels soft when you first apply a bit of pressure on it, but lying down is a whole different story. Back sleepers will notice that their weight is evenly distributed across the surface, without the feeling of sinking into the bed. The quilted cover provides good lumbar support and keeps your spine aligned. Side sleepers will definitely notice pressure in the shoulders and hips area, as the top cushioning of the mattress is not enough to provide pressure relief for those who prefer this position. Stomach sleepers will be more pleased, as the firmness of the mattress prevents the hips from sinking in. When you share a mattress with someone else, it’s important to be able to enjoy every bit of its surface. That’s why mattresses for couples need to have exceptional edge support and minimal motion transfer. Rolling over to the edge of the mattress, you will feel every bit of support as you would if you were lying in the middle. There is a little bit of compression which is caused by the top foam layers, but it doesn’t come near to the feeling of rolling off the bed. 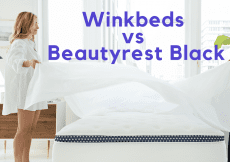 There are a lot of things that make the WinkBeds mattress a strong candidate to the “best hybrid mattress” title. The generous 15 inches in thickness are only surpassed by the supper edge support that was designed to do more than just provide full usability on all sides of the mattress: it’s aimed at protecting all the layers within the mattress. The fact that there are four different firmness levels to choose from makes the product even more attractive because, as shoppers, we always love the variety of choices a product has to offer. The Plus version of the mattress is the ideal combination between support and comfort that prevents people with a few extra pounds from feeling uncomfortable when switching positions. If your favorite sleeping positions are on your back or your stomach, the DreamCloud mattress is a potential candidate for your next shopping list. Make no mistake, you are dealing with a firm mattress, but the firm is exactly what you need if you enjoy the least-recommended position of all: sleeping on your stomach. The construction of the mattress will push your hips back, preventing them from sinking into the surface and create uncomfortable pressure points. The combination used for the top cover gives a sense of luxury, as cashmere isn’t a very commonly-used material for mattress covers. Thanks to the individually wrapped coils, motion transfer is kept to a minimum, allowing you to switch positions with ease. 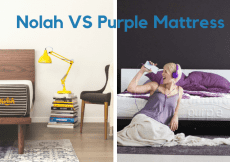 Conclusion: Which Mattress Will You Love More? 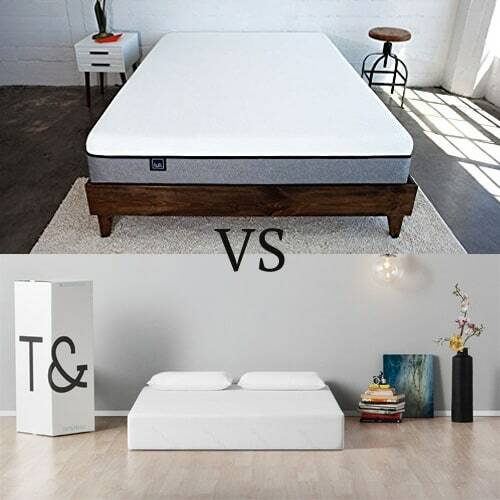 While there are a lot of similarities between these two products, we’ve come to learn that no two mattresses are ever the same. Both of these 15-inch models are hybrid mattresses aimed at combining foam and innerspring technologies for the comfort of the end user. Your choice will eventually come down to what kind of mattress you’d like. The WinkBeds mattress is a very good choice for people who want a solid combination of support and a plush feeling. The DreamCloud mattress, on the other hand, does an extremely good job at staying firm and providing good spinal alignment and support for stomach sleepers. Whatever you choose, you can rest assured that you’re spending your money on a high-quality hybrid mattress. 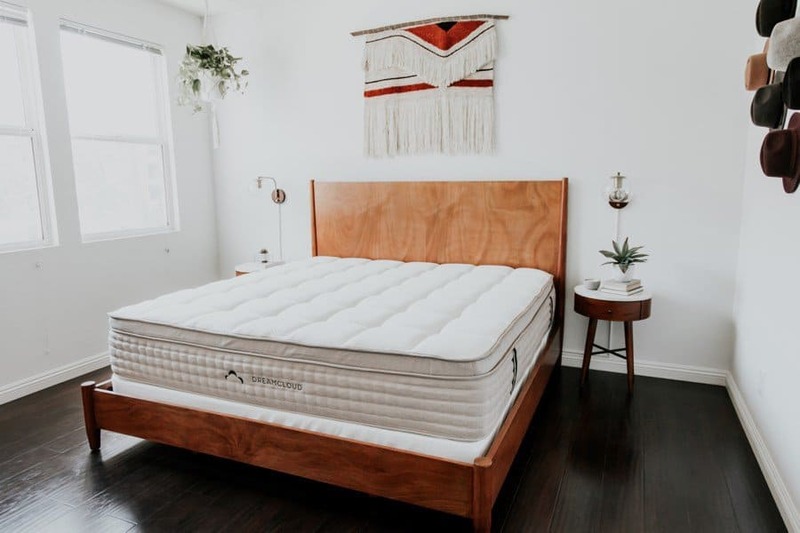 The Winkbed Mattress Review: Is This for You?